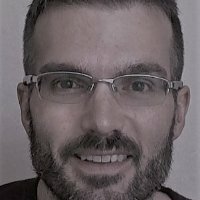 I'd like to close with some advice on learning DocumentDB and using it within your production applications. DocDB is a fantastic service and, in my opinion, is one of the hidden gems of the Microsoft Azure cloud. But maximizing your investment in DocDB requires careful consideration of your resource needs and a good understanding of the data read and write patterns of your application. It's my experience that some application developers don't take the time to do this. Instead, they blindly swap out a relational store for DocumentDB and, when they encounter poor performance or high costs, they blame the service rather than their own misuse and lack of preparation. Trust me, properly used and configured, DocumentDB will perform and scale in ways that few other cloud services are capable of. But it's no silver bullet either. By all means, consider using it, but take the time to understand how best to do so. One final thought, it may sound strange to mention in a course focused on NoSQL, but don't forget about relational databases either. SQL Server, MySQL, Postgres, they all still have their place in the enterprise. Relational engines have evolved over the course of several decades and are excellent tools for use cases like reporting and some analytics and transactional workloads. Again, by all means, be excited about NoSQL and learn all you can about that. Just think carefully about which tool works best for a given data problem, and don't be afraid to use different tools for different jobs. This concludes our introduction to Azure DocumentDB course. We love feedback. Let us know how we can improve, other topics we should focus on, and ways we can help you master the cloud. Reach out to us in the course comments or in Cloud Academy's online community forums. You can also drop us a line to Twitter @CloudRank. Thanks for watching.